Canada's provincial and territorial finance ministers are meeting with their federal counterpart in Ottawa to discuss equalization payments, competitiveness and trade. Topics will also include the global economy, the Canada Pension Plan, a review of the efficacy of the cannabis tax and countering tax evasion. The meetings began Sunday night and will continue Monday. The ministers typically meet with federal Finance Minister Bill Morneau twice a year. "In my estimation, it should be a constructive opportunity for us to discuss the economy," Morneau said Sunday night. He highlighted the country's low unemployment rate. He also acknowledged there are challenges like the situation in the oil sector to discuss. 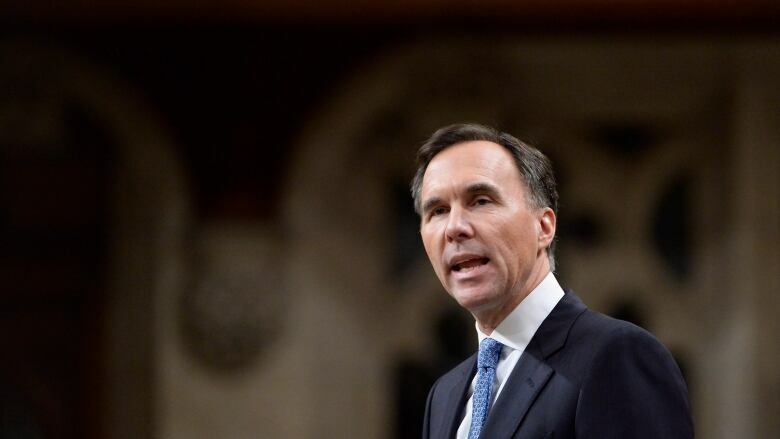 In advance of the meeting, Morneau also confirmed that the federal government will be providing $78.7 billion in transfer funding to provinces and territories during the next fiscal year. Equalization payments are based on a complex calculation that is designed to help poorer provinces provide public services that are reasonably comparable to those in wealthy provinces. For the first time since 2008, Ontario will not receive an equalization transfer from Ottawa, while Quebec will receive $13 billion from the program. The discrepancy has renewed perennial calls to overhaul the equalization formula. "We're certainly calling on the feds for a review of their federal transfer payments because we want to make sure that Ontario businesses and families are getting our fair share," said Ontario Finance Minister Vic Fedeli. Alberta, Saskatchewan, and Newfoundland and Labrador have also called for changes to the program. The Liberals are billing the gathering as a time to "advance progress for the middle class," but many provinces have other issues top of mind. Ontario, Saskatchewan and New Brunswick have loudly condemned the federal government's plan to impose a carbon tax, starting in 2019. Morneau said he's prepared to listen to the ministers' concerns, and hopes to provide clear answers as to how the federal plan will work. However, the objective is clear. "Obviously we are looking towards ensuring that all parts of the country have a price on pollution. We think that's important," he said. Alberta has asked for funds to buy rail cars to move more oil to market, as delays with the Trans Mountain pipeline expansion mean there's more crude on hand than the province can transport. Because of that, last week Premier Rachel Notley announced a temporary 8.7 per cent cut in oil production. Even with some frustrations, it's unlikely to be as tense as the first ministers meeting was on Friday. Morneau and the prime minister both spoke at the meeting in Montreal. In the lead-up to the last finance ministers summit this summer, Morneau was under pressure to match U.S. President Donald Trump's tax cuts, which slashed the U.S. corporate tax rate from 35 per cent to 21 per cent. Canada's combined corporate tax rate is just above 25 per cent, depending on the province. While it didn't equalize Canada with the U.S., the Liberal government's fall fiscal update committed to spend billions to help corporate Canada compete.